This is the island to experience the Spanish Caribbean culture with a strong United States influence. Puerto Rico vacations are becoming more and more popular for a number of exciting reasons. The country is the largest island in the northeastern Caribbean with one of the largest population in the region. Puerto Rico is a tropical vacation spot that will not disappoint you at all. You will find a rich Spanish culture to experience, amazing weather all throughout the year, exciting water sports activities and just an awesome place to relax and enjoy the Caribbean. Thoughts of visiting the Caribbean normally revolves around amazing white sandy beaches, excellent weather, friendly people, amazing sailing experiences and quality resorts. 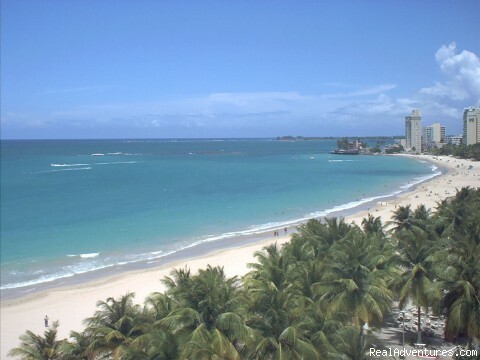 Puerto Rico vacations for the over 250 lovely beaches to explore. This is accompanied by some of the most exciting water sports activities you will find in the region. You will find that there are excellent opportunities to go sailing and sports fishing in the country waters. In addition, scuba diving, snorkelling and submarine excursions are some of the ways you will get to explore the underwater attractions on the island. One of the unique spots you will want to choose for your holiday in the island is Luquillo. You will find an amazing stretch of beach at this destination with some excellent resorts. When you are looking for a secluded vacation spot on the island you can look Guánica. For an exciting surfing experience the Puerto vacation spot of Rincon is the best place on the island to choose. Interestingly, Puerto vacations are more than amazing beaches and exciting water sports activities. One of the most noted colonial attractions in the islands is El Morro, which is an old fortress and one of the most impressive of its kind in the Caribbean. This colonial masterpiece shows the importance of the country to its colonial masters. It was built in the sixteen century and is one of the wonderful historical attractions on the island. The country’s capital, San Juan, is also one of the places you will find fascinating as well. It is one of the places you visit in the Caribbean you incredible art works. You will find many excellent art galleries across that city with some fabulous collection of arts. Interestingly, you will find that there are many talented local artist who will give you a chance to sample some of the contemporary art pieces while you have the opportunity to be amazed by famous art pieces. You are guaranteed that there will always be fascinating art galleries to visit when you are not enjoying your Puerto Rico vacation on one of many exciting beaches. In many of the other Caribbean islands, visiting the different lovely hotels and resorts are considered good. However, getting the fun opportunities to interact with the natives will create some of the most rewarding vacation experiences you will find all across the region. Puerto Rico vacations have not exceptions. Ponce is one of the best tropical vacation spots to enjoy interacting with locals. This location will give in amazing insights on how the people live, sample the various delicious dishes, experience the culture in a personal way and samples some of the best tasting ice cream you will find in the region. This Spanish Caribbean vacation spot is one excellent place to visit. Puerto Rico has fine weather throughout the year. However, this island is a United States territory and there are some visa restrictions for foreign nationals. Once this hurdle have been overcome you will find the Puerto vacations are are all about excellent resorts, some all inclusive, amazing water sports attractions and activities, incredible colonial architecture, fantastic art galleries to explore and for course wonderful beaches.